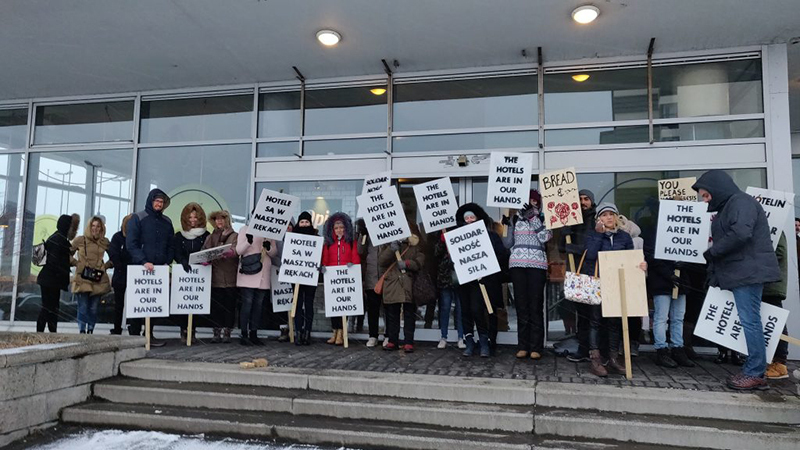 Hotel housekeepers and bus-drivers in Iceland went on their second strike on March 22nd in support of their demand for a living wage and better working conditions. About two thousand workers took part in the strike. 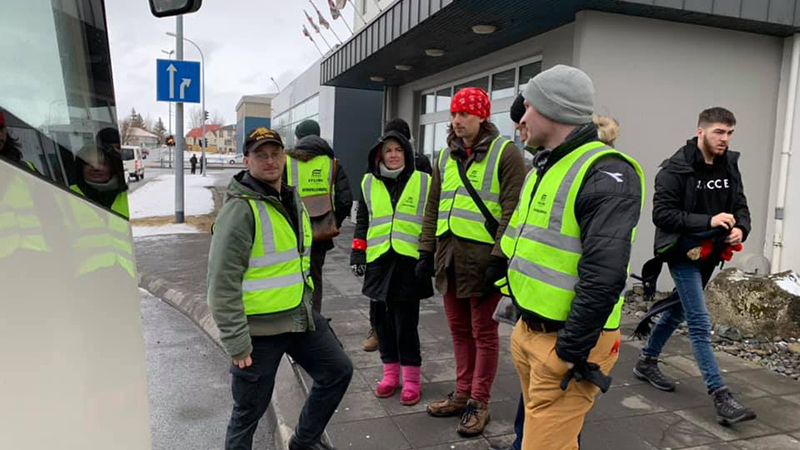 The workers are members of Efling, a local union of the IUF-affiliated SGS (Federation of General workers unions in Iceland). The strike action was a success despite adverse weather and several alleged strike breaks. Hotel-staff walked between hotels and gathered into formations to show solidarity and call attention to their demands for respect, rights and higher wages. Also, the group gathered to stand in front of the offices of Confederation of Icelandic Enterprise. This group was undeterred by the bad weather, they stood firm and carried their placards proudly. At the strike center a solidarity meeting was organized, where people were highly motivated, fiery speeches were given and workers spoke about their concerns, the struggle and the future. Negotiations for a new collective agreement in the tourism sector between Efling and the employers have been deadlocked for months over the employers' resistance to union demands for an increase in the base wage, affordable housing and a shorter working week. Further strike actions are planned if no collective agreement is agreed, A two-day strike will take place March 28th and 29th.